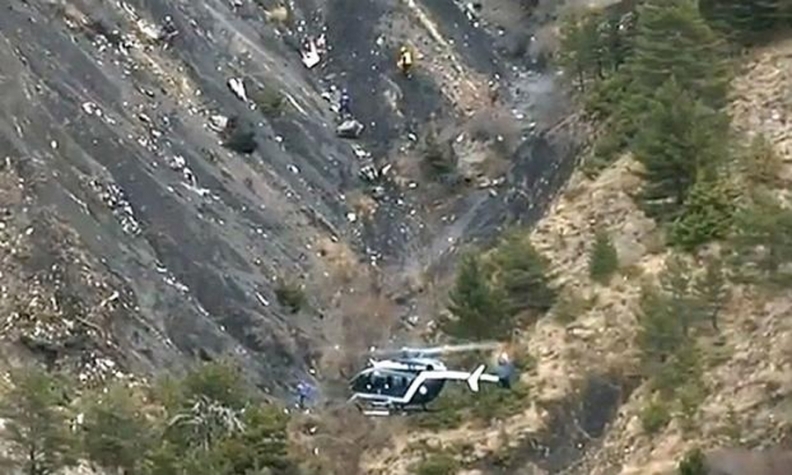 A rescue helicopter hovers near the crash site of the Airbus A320 that went down near Seyne-les-Alpes in France. FRANKFURT -- Two Delphi Automotive Systems employees were among passengers on a German plane that crashed in a remote part of the French Alps Tuesday killing all 150 people on board. The U.S.-based parts supplier confirmed that a human resources manager and a trade union delegate had boarded Germanwings flight 9525 from Barcelona, Spain, to Duesseldorf, Germany, to travel to a meeting. "Rogelio Oficialdegui, our human resources director for Delphi in Spain and Delphi’s diesel site in Sant Cugat (Barcelona) and Manuel Rives Salinas, employee representative at our site in Sant Cugat and member of the European Employee Committee, are among the victims," Delphi said in a statement. "Our deepest condolences go out to the victims and their families of this tragic accident." Both employees were Spanish nationals, Delphi said. Oficialdegui, 62, had worked for the former unit of General Motors for 32 years. Salinas, 51, had been with the company for 26 years. German chemicals giant Bayer also said it believed at least one employee of its Spanish affiliate was on the flight. The majority of the crash victims are believed to be German tourists returning from vacation in Spain. A class of 16 German high school students and two teachers were also on board. They were returning from a study program near Barcelona. Delphi's Germany headquarters is in Wuppertal, about 34 km (21 miles) from Duesseldorf.